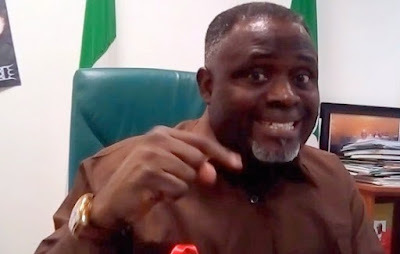 Another member of the House of Representatives from Edo State, Johnson Agbonayinma, has dumped the opposition People’s Democratic Party, PDP, for the ruling All Progressives Congress, APC. In a letter read by Speaker Yakubu Dogara at plenary on Thursday, Mr. Agbonayinma who was loyal to the ousted chairman of the PDP, Ali Modu-Sheriff, alleged that he had been sidelined in the party. He said after Mr. Sheriff lost at the Supreme Court, his colleagues in the house and his former party “shut the door against him”. Present in the chamber to receive him was the deputy governor of Edo State, Philip Shuaibu, who was once a member of the House of Representatives.